On Monday, October 22, Toronto is headed to the voting polls. 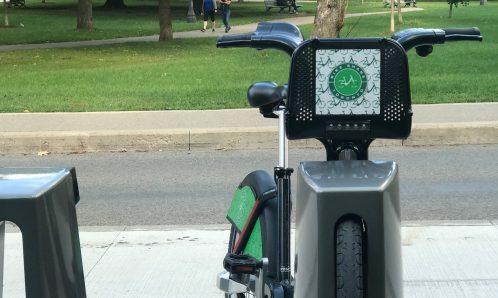 In an effort to help and encourage Torontonians to travel to their voting locations, Bike Share Toronto is hosting a Free Ride Day for Municipal Election Day 2018. 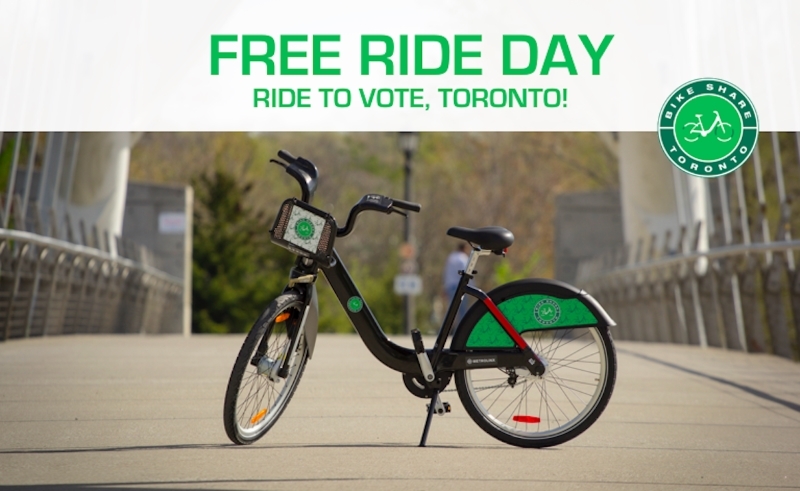 Pick up a FREE Single Trip pass and include biking into your transit plan to get you to your voting station on time. So, Toronto, on October 22, put us into your commuting plan and take advantage of the $0 Single Trip passes all day long. Visit our System Map online or hop onto the CycleFinder app and find the closest station to connect your route. Download CycleFinder for Apple or Android. How to redeem a FREE ride? 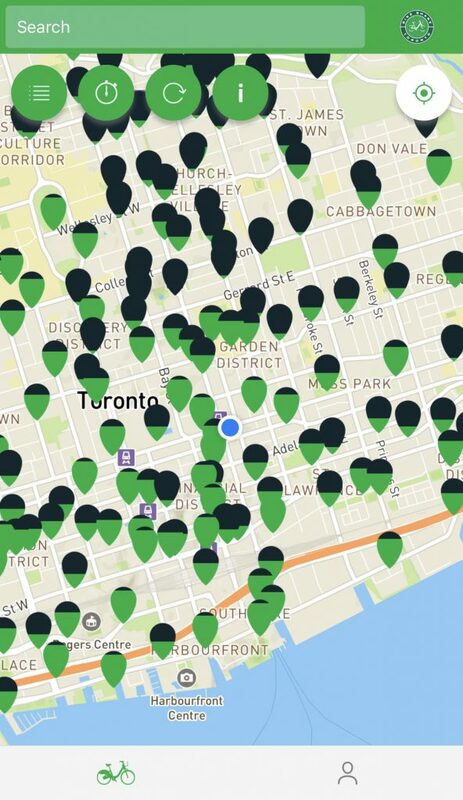 1) Go to any of our 360 Bike Share stations. Find your nearest station on the System Map page or by downloading CycleFinder or Transit app. 2) Select “Buy a pass” on a kiosk touch screen and select “$0 Single Trip,” then insert your credit card and follow on screen instructions. You can also obtain your pass on CycleFinder or Transit by selecting “Unlock bike” then “Buy a plan”. 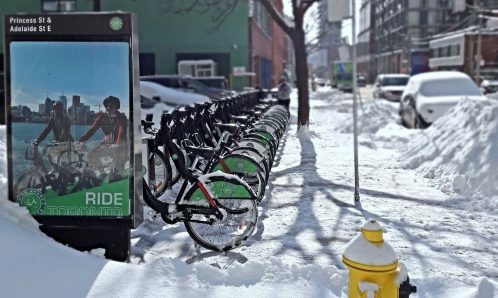 4) Ride through Toronto for up to a maximum of 30 minutes with a Single Trip pass. 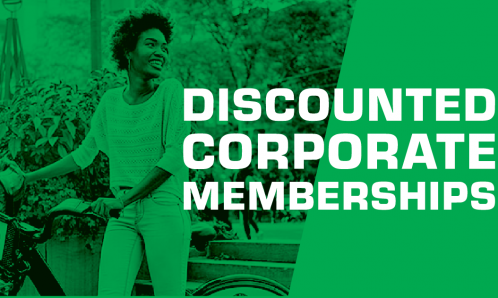 *Overage Fees will apply for trips exceeding 30 minutes in length. See Pricing page for more details.